The hunter becomes the hunted, as the Doctor tracks the Agent’s journey from Paris across the Milky Way towards the Silver Devastation.Where is it heading? What force can destroy the crystal?Where is the robot Agent, and why did it come here? What is the strange and sinister game is taking place in an elegant house in the Home Counties…? Find out by reading the next thrilling adventure in... 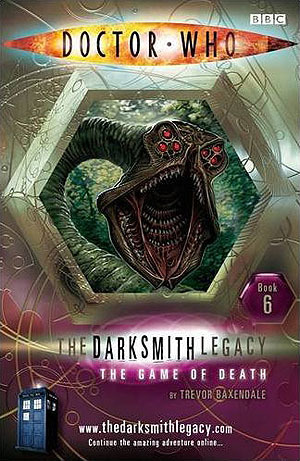 The Darksmith Legacy!